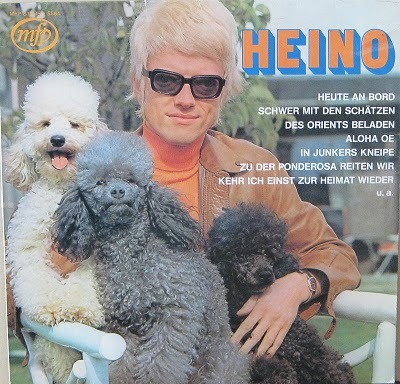 Well, it’s day two of creepy album covers, and, oh, the things one discovers when perusing cover art! Today’s artist is a hammerhead shark/Andy Warhol named Heino. 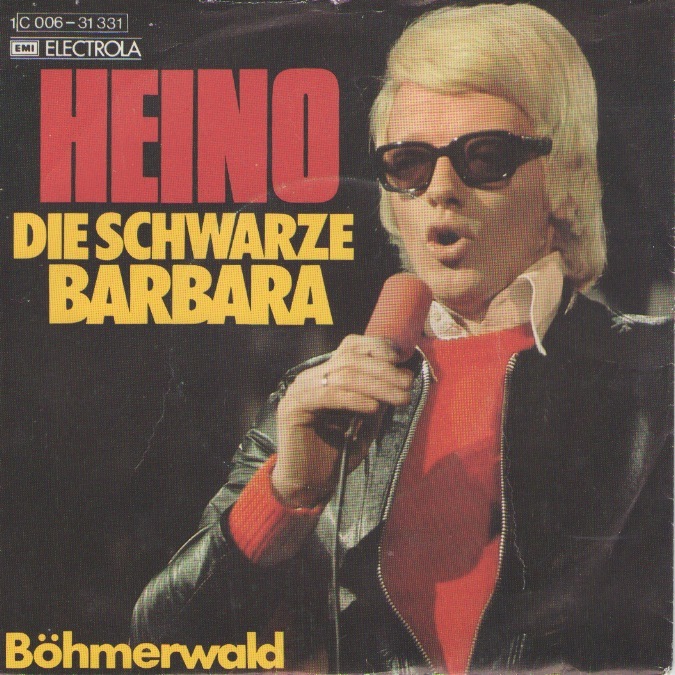 Again, musical ignorance has prevented me from being familiar with his extensive collection, which includes his 1980 hit, “Bier, Bier, Bier” (not to be confused with “Beers, Steers, and Queers”). 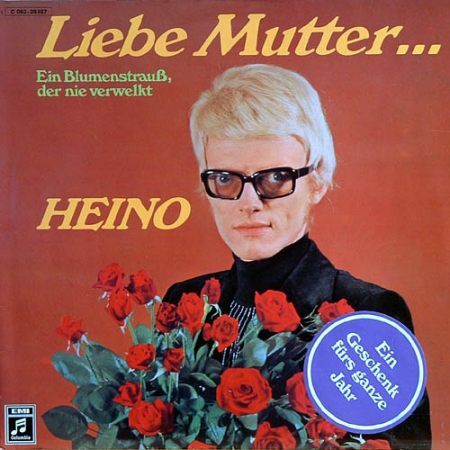 The best translations I could find for the title, Liebe mutter ein blumenstrauß der nie verwelkt, were, “Love mother a flower that never fades consuming,” and “Dear mother of one bouquet never.” I don’t get it. Is it Mother’s Day in Berlin? And no, he’s not an albino, and no, he’s not Corey Hart. 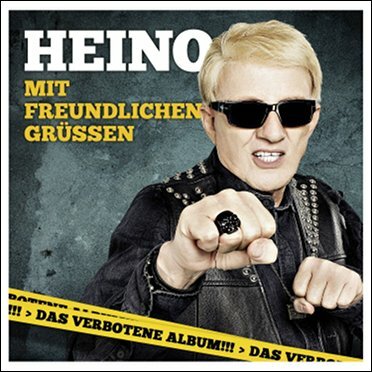 Heino suffers from exophthalmos due to Grave’s disease. But the Lord blessed him with a rich baritone, capable of belting out beer barrel polkas, so it all balanced out. 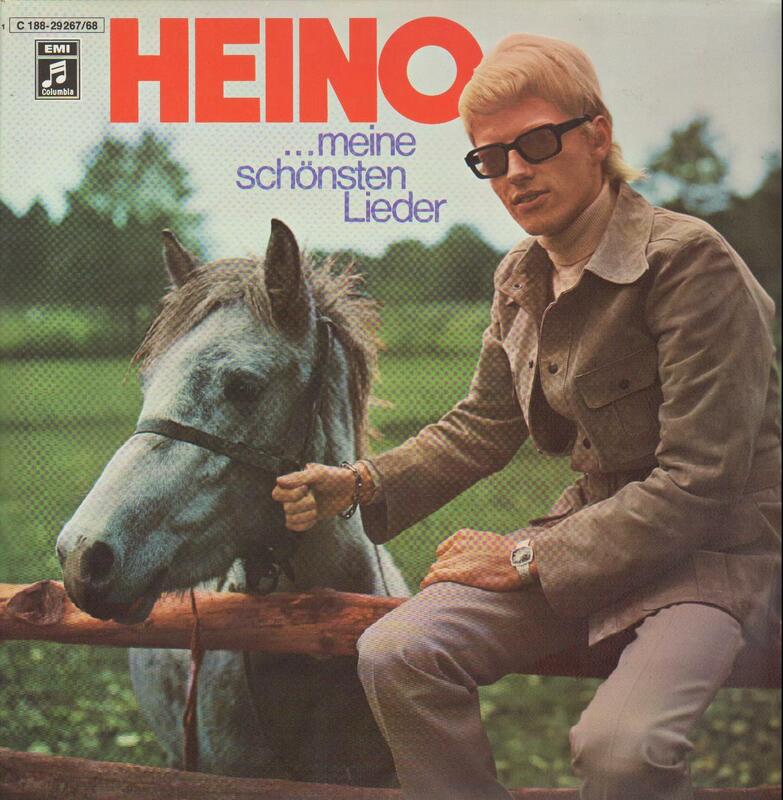 Once you really dig into the essence of Heino, you sense a cynophilic trend. He rather fancies poodles. I mean, REALLY fancies them. 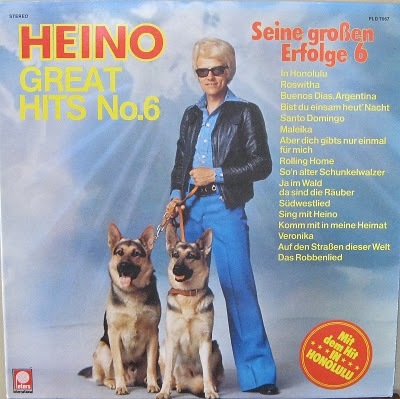 Now that I look at it–this looks more like seeing-eye dogs leading him up the stairway to heaven. Clearly, he does not discriminate each time he visits the Humane Society. And what is that badge in the hound’s mouth? A license to ill? 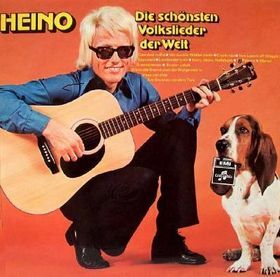 The point is, the blonde Roy Orbison loves dogs. Even corn dogs! Sorry–that’s not a corn dog; it’s a microphone. Months passed by, and when his mane grew into more of a Jean Seberg ‘do, he revisited his periwinkle farm friends. As music and trends evolved, so did he. Here he is frisky and fresh from the leather bar, doing his Tae Bo jabs. 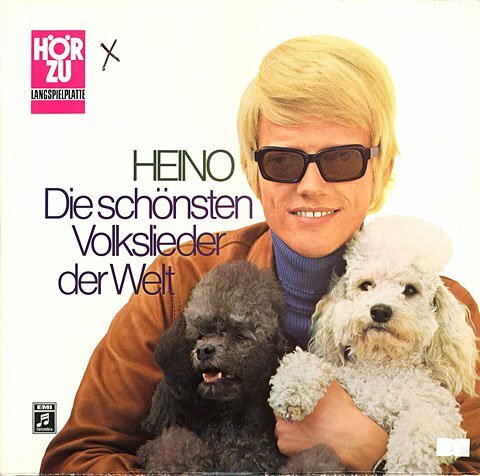 In case you’re wondering, tanless Heino is still going strong at 74, married to his third wife, with no trace of male pattern baldness in sight. 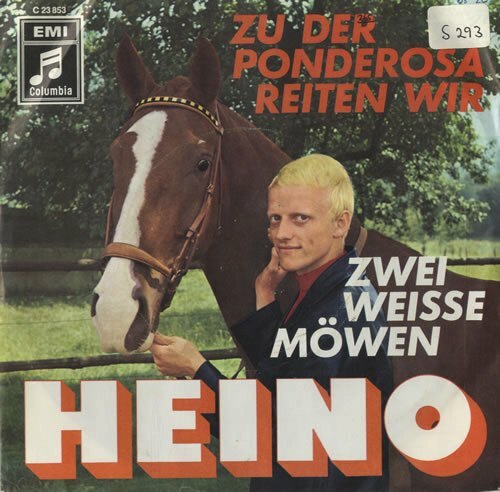 And don’t even try to get your hands on that album; “das verbotene” means “the forbidden,” and Germans mean business. Previous Don’t Cry For Me, Argentina Coral. Your Eyeliner Will Run.